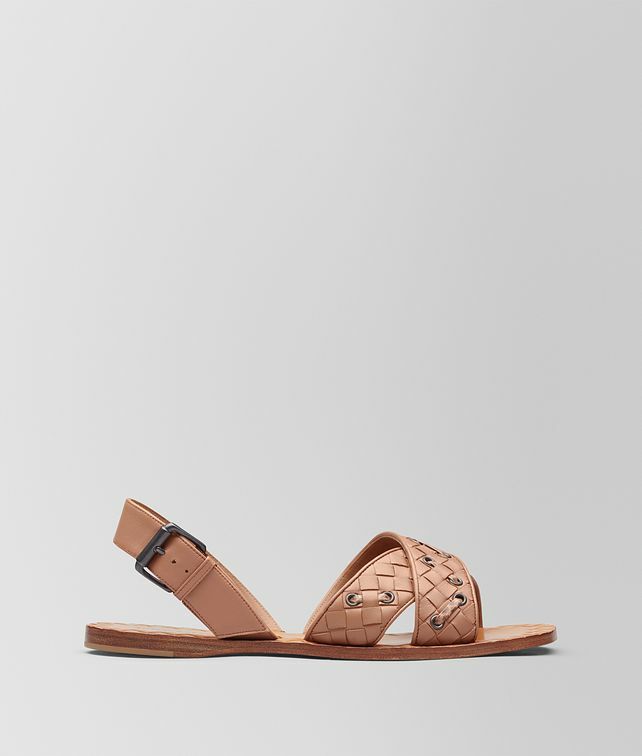 The Ravello sandal is reinvented for the season in an elevated marriage of materials. This timeless silhouette is handcrafted from soft nappa in iconic intrecciato and meticulously woven with finely cut ayers through delicate metal eyelets. It is finished with a substantial leather sole for versatile wear.